Details for AmaDara can be found below. 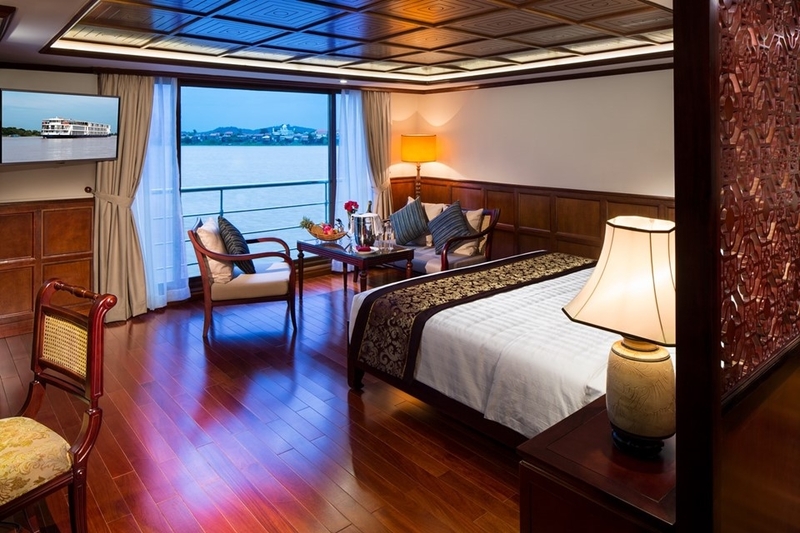 The 124-passenger AmaDara made her debut in 2015 and is in a class unto itself with distinct French Colonial décor and accented by Mekong artefacts made by native craftsmen. 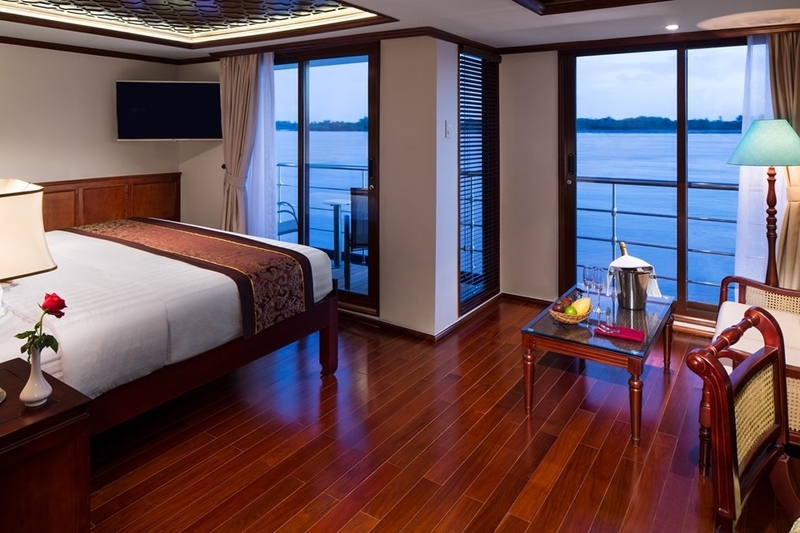 Elegantly appointed staterooms are 251 sq. ft. and suites range from 366-502 sq. 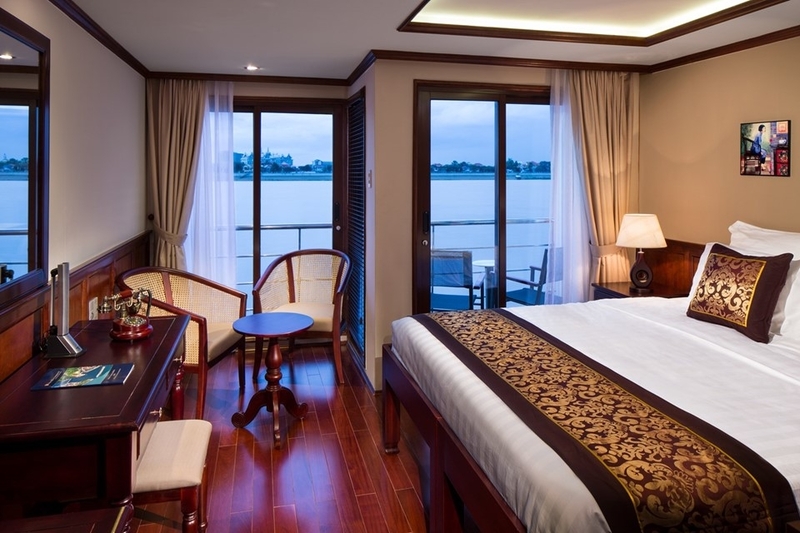 ft. Staterooms and suites feature twin balconies, both a French and outside balcony, so you can enjoy the ever-changing scenery however you wish. Additional stateroom amenities include a cosy sitting area, climate-controlled air conditioning, in-room safe and mini bar. Spacious bathrooms have a shower, bathrobe, slippers and hair dryer. Suites have additional enhanced amenities with a large sitting area and bathrooms with both a shower and separate tub. AmaDara offers a host of added comforts and conveniences, including a spa, fitness room, gift shop, hair salon and Sun Deck pool. The stunning Saigon Lounge provides a wonderful place to meet fellow guests, and enjoy colourful and vibrant local entertainment, including traditional Khmer Psara dancers and lively musical performances. Savour authentic regional delicacies and Western cuisine in the main restaurant or dine at The Chef’s Table speciality restaurant; and throughout your cruise, be treated to unlimited complimentary wine with lunch and dinner, as well as house brand spirits, local beer and soft drinks. write a review of AmaDara.